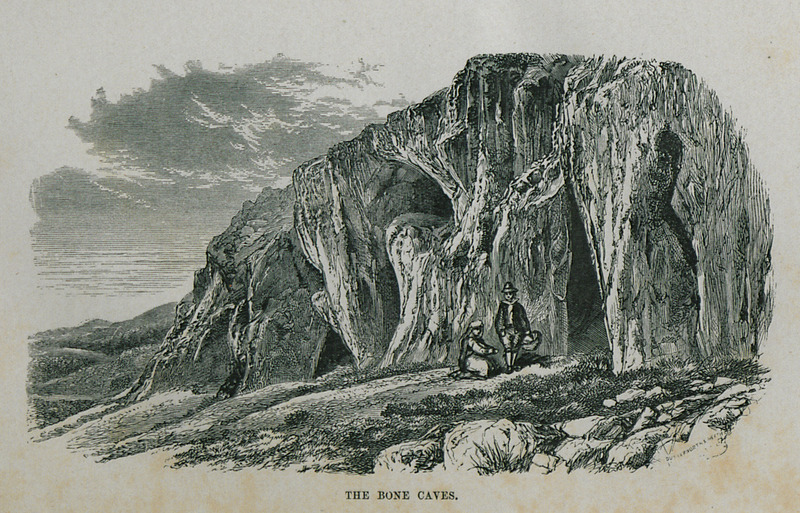 Balzi Rossi cave near Mentone, site of the discovery of animal bones, paleolithic tools, Venus figurines and early Homo sapiens sapiens skeletons (Grimaldi man). 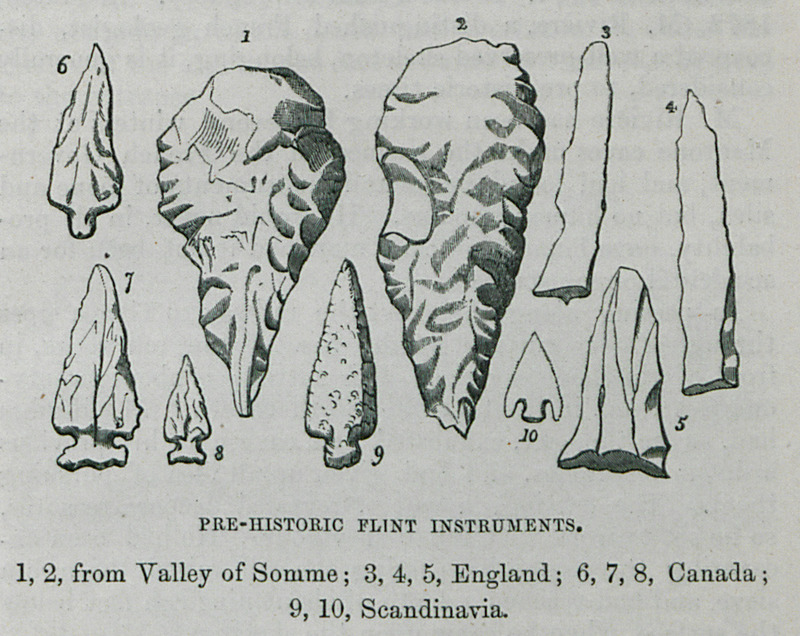 Palaeolithic stone tools from all over the world. 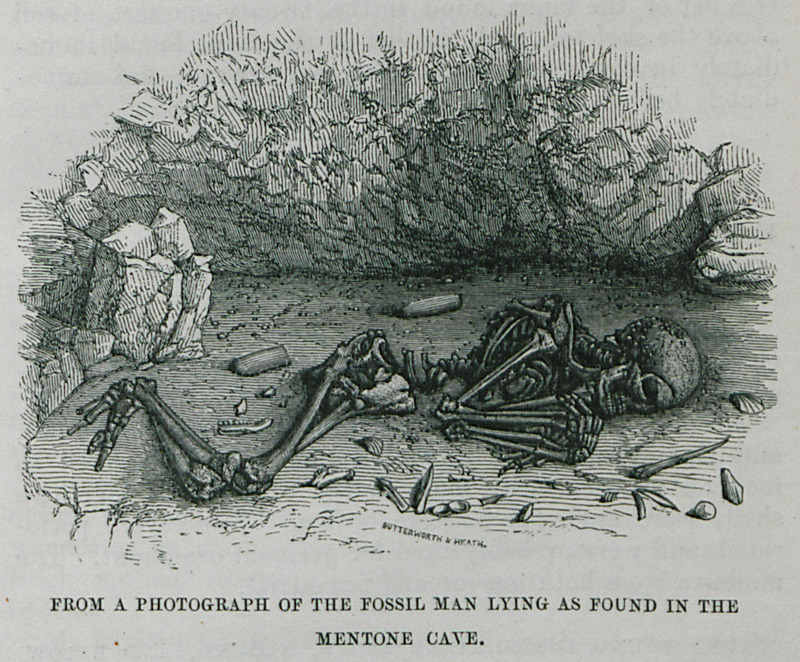 Human skeleton of the Paleolithic era discovered in Balzi Rossi caves by paleontologist Émile Rivière in 1872.